One of my favorite things about coconut is how its simplicity doesn't yearn to be enhanced, combined and built up amongst other ingredients to really shine; its gloriously rich and warm flavors are substantial enough without much else. 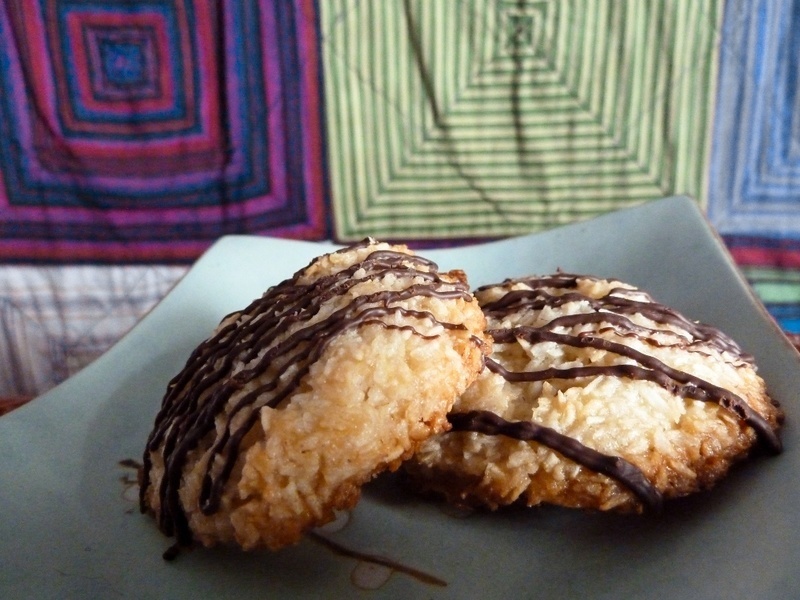 In this Vegan Coconut Macaroon recipe I chose to showcase coconut with just a touch of brown rice syrup and vanilla extract so the coconut does most of the talking. Coconut is perfectly happy if you are in the paring mood however. 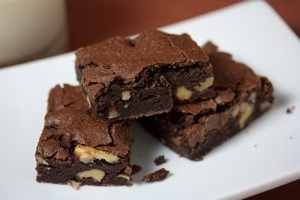 If you're feeling so inclined, a drizzle of melted chocolate will bring these to the next level. Preheat your oven to 350F (177C). In a medium bowl mix the sugar, non-dairy milk, brown rice syrup, vanilla extract and salt. Mix in the shredded coconut. Add the all-purpose flour to the bowl containing the wet ingredients and mix with a spoon until well incorporated. At this point the dough will be so thick you'll probably need to mix it with your hands. Continue mixing until the dough is well mixed. Form the mixture into 1 inch balls (a very small ice cream scoop works well) and place them on a lightly oiled or parchment paper lined cookie sheet. It's important to note that these macaroons don't flatten during baking. So if you prefer your macaroons as balls, leave them intact on the baking sheet in ball form. If you prefer them flat, make sure to flatten them accordingly. Bake for 10 minutes, switching the baking sheets on the racks halfway through the baking duration. It is very important to not overcook these because the bottoms will burn easily. Store the macaroons in a covered container at room temperature for about 1 week or in a freezer bag in the freezer for up to 3 months. This recipe makes about 20 Vegan Coconut Macaroons. I think the author should specify "dried or desiccated" coconut - I don't see how this could work with fresh, and this might have resulted in some of the unhappy reviews I read. I had no problem handling the crumbly dough because I gently filled a tablespoon measure to make each cookie. My husband loves these. They are a bit sweet for me, but I love the texture. So glad to learn about cookies I can make using dried/desiccated coconut, which is a new food for me. I mixed all the ingredients together but I couldn't make cookies because it was not a dough, it fell apart. 3 cups coconut, 1 cup sugar, 3/4 cups of flour, and only 1/2 cups of liquid, I could expect that! So I ended up adjusting the recipe. I added more soy milk first (I didn't have much left, so it was a little more), after that I grounded 2 TS flax seeds, added some water; and added that to the mixture. Now I could form the cookies. I made the cookies smaller than 1 inch but still couldn't bake them for 10 minutes. I ended up with 1 hour oven time. 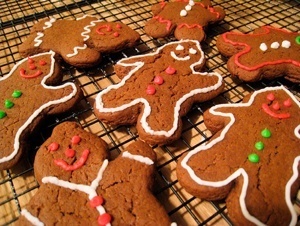 People said the cookies turned out delicious, but I doubt I will make them again :O They caused me so much trouble. These were perfect! My two year old daughter loved helping me make these. I followed the recipe almost exactly, only I 2/3 the recipe because I didn't have enough coconut (I used fine coconut) and used agave instead of brown rice syrup. For those saying it was too wet, macaroons are supposed to be moist and chewy and almost somewhat sticky on the inside. My dough was too wet to roll into a ball (fell apart) but could easily be squeezed into a ball and flattened. If your dough does this then you're on your way to making perfect macaroons! :) also, depending on how humid the climate is where you live, you actually might need to add more flour to compensate for the extra moisture in the air .. That said, it's so humid where I live that I sometimes have to double the flour in my recipes, and even though it was raining when I made this, I followed the recipe and it turned out great. One last thing! ;) macaroons are not supposed to brown on the top .. If you look at the macaroons in little French shops or bakeries, they aren't browned at all. So if your macaroons are white on the top after ten mins, that's good! These were awesome and so delicious! Thank you for the recipe! I made these Passover-friendly by using matzo flour instead of all-purpose and they came out fantastic. My non-vegan guests were blown away and asked for the recipe. I did find that I needed to bake them longer in ball-form and took them out when the tops were nicely browned. They held together just fine once cooled. I also dipped the bottoms of half the batch in melted semisweet chocolate. So good. 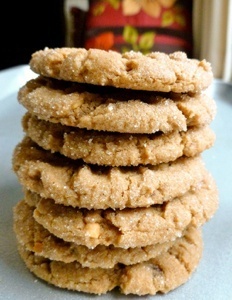 I just made these using white spelt flour, and added chopped up crystallized ginger. Oh my gosh, they are divine! They held together just fine. Oh, just sooooooo good! By the way, in response to the person who was pointing out that sugar is filtered through bone char, it is my understanding that this is only the case with cane sugar, but not with beet sugar. Sugar packaging rarely tells you which is is made out of, but you can call the manufacturer and find out. Also, there are now many brands of white cane sugar that are vegan, and marked as such on the package. Made these cookies a couple of months ago and what can I say, THEY WERE DELICIOUS. 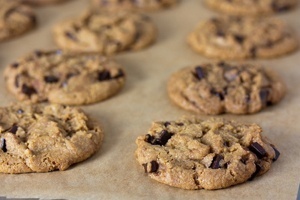 I've tried many vegan cookies which were very disappointing, but these cookies were amazing! I actually made over 50 of these cookies for my english class for my assignment about animal rights (e.g. 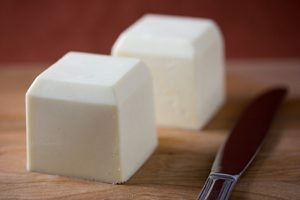 going vegan) and my class loved them, many were asking for the recipe! Thank you so much for this recipe, love them! "Regarding sugar: cane sugar, white sugar, beet sugar, turbinado sugar, muscovado sugar, raw sugar, etc are all basically the same on the molecular scale; about 50% glucose and 50% fructose. This is why I call for white granulated sugar in most of my baking recipes. There really is no such thing as a free ride when it comes to sweeteners. It's important to just enjoy everything in moderation. Good luck!" I made the mixture and put some in the oven to test them out. They were a little bit runny (I didn't measure out the ingredients exactly...oops) and they spread a bit on the oven tray but not so much that they mixed together. I decided to add some more flour to the rest of the mixture and they turned out great! They're not as pretty as the ones in the picture as I'm not the most artistic or delicate person in the world, but overall a great recipe! Thank you for this simple and delicious recipe. My husband was wistfully wanting coconut macaroons but thinking they were off limits (since we've only recently changed to a vegan diet). Of course the first thing I do is Google "vegan coconut macaroons", and here you were. I chose this among others partly because most of the ingredients were handy. I halved the recipe, subbed agave syrup for the brown rice syrup, and used half-half vanilla and coconut extract. After 10 minutes in the oven, I noticed the bottoms browning but the exterior still pretty light. After a total of 13 minutes on conventional bake, I switched the oven to the broil setting and let it go for another few minutes and plucking them out to cool just when their exteriors turned toasty golden-brown. So happy the macaroons got husband approved MJ! Yes, the bottoms can brown a little but who doesn't like a little more toasted coconut? Silicone baking sheets tend to reduce this in these macaroons. I also suspect that reducing baking time to 325F and baking a little longer would also reduce the bottom browning. I'll be sure to update the recipe if this proves suitable after testing. Thanks for sharing! 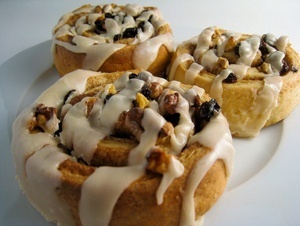 i haven't made these YET but definitely going to tomorrow. i always read reviews before overtaking a new recipe and love how you have so many positive comments :) i am curious what your thoughts are on using agave syrup instead of the rice syrup? also, i never use salt (whatever the amount) or white sugar and am wondering how cane sugar might work as a replacement? FYI, I just updated my reply to change the word "sucrose" to "glucose". So glad your'e interested in the Coconut Macaroons steph! You should be able to use agave syrup in place of brown rice syrup in this recipe. Brown rice syrup contributes more flavor but is more difficult to find. I don't recommend making these without salt. Salt is not bad for you in small amounts. All animals, including us depend on it in order to function. It's just important to not get overloaded with it. Regarding sugar: cane sugar, white sugar, beet sugar, turbinado sugar, muscovado sugar, raw sugar, etc are all basically the same on the molecular scale; about 50% glucose and 50% fructose. This is why I call for white granulated sugar in most of my baking recipes. There really is no such thing as a free ride when it comes to sweeteners. It's important to just enjoy everything in moderation. Good luck! 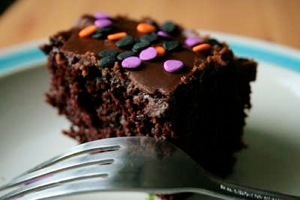 I have tried this recipe exactly as it is written and it was good but yesterday I was out of regular sugar so I substituted confectioners sugar 1 3/4 cups. I also used extra thick coconut milk & honey (instead of the brown rice syrup). They turned out GREAT and taste like coconut pie filling. Instead of using parchment paper I have been lightly spraying the pan with cooking spray. So glad the Coconut Macaroons turned out so well in this awesome-sounding incarnation DJ103! Thanks for sharing! Hi PeggyW. That's great you were able to make the Coconut Macaroons taste great despite your dough issues. The dough is super sticky and moist by design but if it was excessively sticky, I don't know if the white whole wheat played a major role. 3/4 of a cup shouldn't be enough to make drastic changes in dough texture. 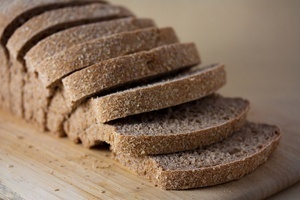 Theoretically, whole wheat (including white whole wheat) should absorb slightly less water than all-purpose due to the ground endosperm in all-purpose flour being displaced by bran husks in whole wheat flour. Glad you were still able to make it work though! Just made these. I used one third of the portions (live alone so its just my tummy). I used powdered coconut (not flour) as I only had that, and soy milk. they didn't puff but i flattened them so they are crunchy but soft inside possible because of fine pieces of coconut rather than shreds. 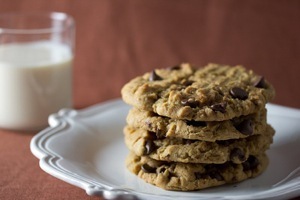 Overall great to satisfy my sweet tooth and super easy to make and bake. Matt you're THE man. I used un sweetened almond milk, instead of brown rice syrup I used agave nectar, instead of 3/4c flour I used 1/2c whole wheat flour! They turned out AMAZING!!!! So glad these macaroons worked out for you Charlee! Thanks for sharing! Mattie, I think something must have gone wrong for me. I used coconut milk (which made the cookies a little TOO coconut-y for me, if anyone is wondering, but it was all I had). I also halved the amount of sugar and salt, and used maple syrup in place of brown rice syrup. After 10 minutes in the oven the balls were still ball-shaped (I wasn't sure if I was supposed to press them flat?) and they taste pretty raw although the bottoms are browned. 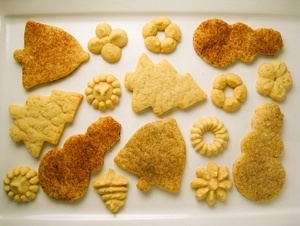 They don't look anything like the golden, crispy cookies pictured! Do you think one of my changes made a difference? Hi Naadia! Too coconutty?! How is that possible?! Kidding! I just updated the recipe in Step 3 to make it clear that the macaroons (and many baked items with large amounts of coconut) don't flatten considerably during baking. So if you prefer them in ball form, leave them in ball form and if you prefer them flat, flatten them accordingly. The picture was uploaded by a user who chose to flatten them, hence the flat macaroons there. As for them being raw inside and browned on the bottom, it's difficult to tell why this happened but it's probably related to the sugar being halved and/or the maple syrup being substituted. Maple syrup in a macaroon sounds like a great idea. Thanks for sharing! I made them with brown sugar instead of white sugar, and because I didn't have the brown rice syrup I used some maple syrup. Instead of the non-dairy milk I put some water in them because I didn't have any soy or almond milk at the time... I baked them for about 15 minutes and they turned out better than I expected!! So glad these worked out so well for you even with the substitutions. Thanks for sharing LeoHauser! can i make them bigger? loved these my whole family loved them too especially my husband, but i was wondering can i make them bigger? and if possible for how long and how much temperature in da oven ? I'm thinking about adding pineapple in some form or another. Would the acidity mess up how well they form up into a ball? thanks. Hi Goodtime! If you use dried pineapple you should be fine. Fresh/wet pineapple may add a little too much water content as they bake. Coconut and pineapple would be a great combination in these! I really liked the recipe but there is one thing I'll change next time (because I WILL make them again !!). It is the amount of salt. There is far too much to my taste. It might be because I never use much salt but I thought it was far too salty. So next time I'll just put a wee bit of it, if any at all. But very good cookies anyway !! and instead of 2 tsp vanilla I used 1 tsp vanilla and 1 tsp rosewater. Amazing! - They taste great. Thanks to you I can enjoy these great cookies. Lovely! Even my non vegan man said so!!! Made these and they were great. Needed to add a little more flour to help the dough form. I too added the almond essence and left out the syrup. 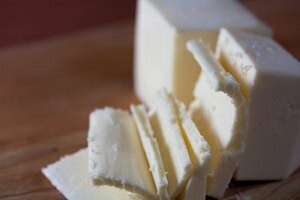 They have great texture and a sweet enough. Thanks! So glad these worked out for you Roz! 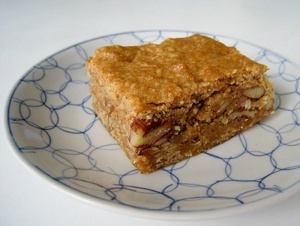 Almond extract sounds perfect, especially in place of the brown rice syrup! Hello again - I tried these today, and found them delicious, though sweeter than I would prefer. The recipe doesn't specify unsweetened or sweetened coconut, and I used sweetened. I just updated the recipe on all my macaroon recipes to specify unsweetened shredded coconut. Thanks for bringing this to my attention! Forgot to mention that I left out the brown rice syrup on accident & will leave it out from now on as that might make them too sweet. I used unsweetened coconut and All Purpose Gluten Free Flour. That's great that these worked with gluten-free flour Kim! Made this for a group of vegans & they all loved them. I put some semi-sweet chocolate on the top. They now want me to make them for a vegan fund raiser! Thank you for this great recipe. Hi Mattie can you please advise if these would freeze and if so for how long would you think? Looking at making these for a guest at my wedding who is vegan, planning on serving it with mango sorbet. Hi Samanthajkellie, you should be able to freeze these macaroons for up to a few weeks but I recommend heating them in the oven for 350F for 5 minutes or so once they've been completely thawed out and just before serving to "crisp up" the crispy outer layers. Good luck! MATTIE: THE MACAROONS I SUGGESTED CONTAIN NO SUGAR, NO NON-DAIRY MILK AND NO FLOUR. THIS IS NOT TO SUGGEST THEY CONTAIN NO FLAVOUR.